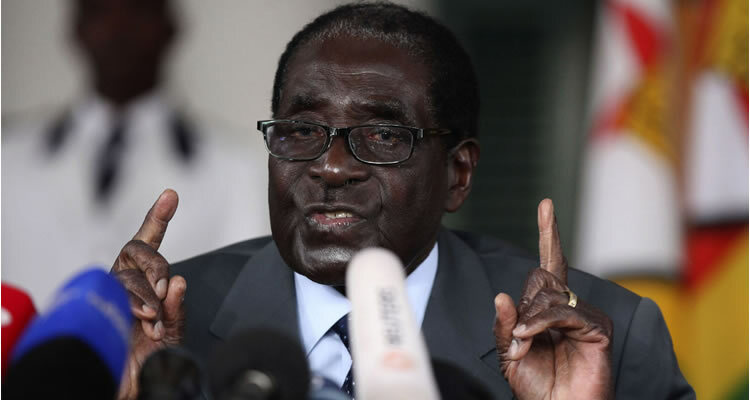 Zimbabwe’s ruling party fired President Robert Mugabe on Sunday, ending his 37-year reign as the African country’s leader after being placed under house arrest days ago, a party official said. Recently fired Vice President Emmerson Mnangagwa was appointed as the new leader of the ZANU-PF party and is expected to lead a new government. Party members said Mugabe must resign by 12 p.m. Monday or will “definitely” face impeachment. Innocent Gonese with the MDC-T party said they had been in discussions with the ruling ZANU-PF party to act jointly. Senior figures of the party gathered early Sunday for an emergency meeting of the party’s Central Committee to discuss calls to expel the 93-year-old leader. First lady Grace Mugabe was also recalled as head of the women’s league. The now-former leader’s talks with army commander Constantino Chiwenga are in the second round of negotiations on an exit as the military tries to avoid accusations of a coup. Mugabe remained under house arrest with his wife and resisted calls to step aside. Vast throngs of demonstrators turned Zimbabwe’s capital into a carnival ground on Saturday in a peaceful outpouring of disdain for their longtime leader and calls for him to quit immediately. People in Harare clambered onto tanks and other military vehicles moving slowly through the crowds, danced around soldiers walking in city streets and surged in the thousands toward the building where Mugabe held official functions.